You may have seen, earlier today, we announced a couple of very exciting analyst additions to the HfS teams in the US and UK this week. So let's start with one very talented individual who plies her knowledge trade just outside of the city of Chicago... Barbra McGann Sheridan. Welcome Barbra! Can you share a little about your background and why you have chosen research and strategy as your career path? As the saying goes, my parents wondered what I would do with my Bachelor’s Degree in English if I didn’t want to teach… it would have been so much more practical to stick with Engineering. And yet, what I’ve learned over the [many] years is that the skills I developed in earning that degree, and since, have helped move me into this direction… listening, researching, analyzing, distilling down issues, ideas, and problems, and finding ways to communicate messages to different audiences with different interests. Why did you choose to join HfS... and why now? There is a lot of energy and forward thinking at HfS, grounded in practical realism and surrounded by a depth of knowledge and experience. At the heart of HfS is the ability to communicate a point, challenge the status quo, generate a conversation, and collaborate with a client to dive into a challenge and drive a desired result. I’m looking forward to both participating in the BPO to business process ‘as a service’ evolution and creating a type of micro-community around healthcare and life sciences. What are the subject areas and topics that you will focus on in your analyst role? As I hinted at in response to your last question, I’ll be contributing to the research, analysis, and advisory services on BPO generally, and also building a Healthcare and Life Sciences program. Healthcare and Life Sciences industries need to change at such a rapid rate with regulation, consumerism, new business and payment models, technology and security advancements, and more, that sourcing innovation, networking, and learning from other industries will be critical to help drive the kind of impact needed on health, clinical, and administrative outcomes. What trends and developments are capturing your attention today? The future of BPO is not just a speck on the horizon anymore. It’s taking shape. Focus, subject matter depth, scale, all the variants of technology, analytics are coming together to deliver new kinds of business outcomes in particular when there is unprecedented collaboration and innovation in sourcing models. Service providers are claiming stakes in focus areas… we’ve seen the deliberate moves by Accenture in Procurement through the Procurian acquisition; and more recently by Cognizant to address consumerism and platform opportunities in Healthcare with their acquisitions of Cadient and TriZetto; and investments by Genpact on operating models in Insurance. 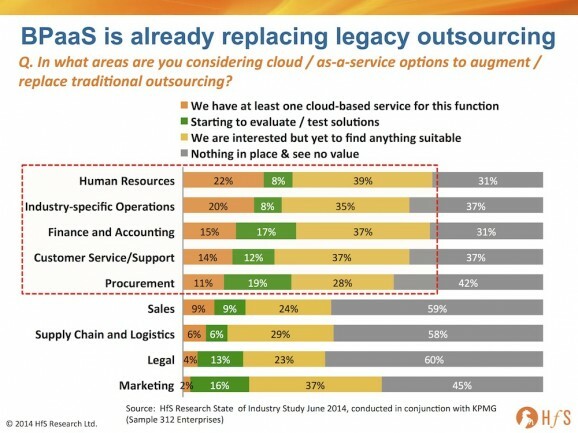 “As a Service” is becoming more than just a phrase or a vision, as shown in the latest HfS survey – about 30% of enterprises noted use of BPaaS or cloud based services as an alternative to legacy outsourcing. And then there’s analytics… how will service providers and clients truly collaborate to create quality integrated data stores for modeling and analysis? EXL now brings Blue Slate to the table. None of it will have the desired impact though without talent and collaboration. So, Barbra, what are you working on first for our clients? It may surprise you to hear that I’m working on a Blueprint for Healthcare. But only if you haven’t read any of what comes before this. In addition to custom research and strategy projects, I’ll be drafting up our first Care Management Blueprint, followed by a refresh of the Health Admin for Payer Blueprint. There’s a convergence of these areas to explore, and further impact to outcomes and sourcing opportunities with the fast rise of consumerism in healthcare and an intriguing intersection between healthcare and retail data and analytics. We are also looking to create a roundtable forum on sourcing and healthcare in the 1H of 2015. Being a Midwesterner now but raised in California, I prefer being outdoors to in, even when I’m reading, but especially for gardening, soccer, volleyball, hiking. My spare time activities flow with the change of seasons, and typically with my husband and two daughters, and our Schipperke. The one constant is my Sunday very early morning ‘walking of the stairs’ in a nearby forest preserve, where the toboggan slide is closed but the 100+ stone stairs to get to the top of it remain open for those of us who find vertical climbing an exhilarating exercise. 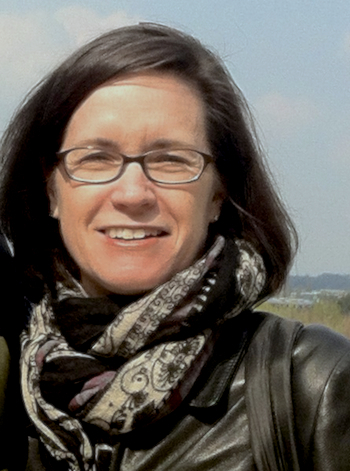 Barbra Sheridan McGann (pictured above) is Senior Vice President, Research, at HfS – you can view her full bio here, email her here and tweet her here.